Winter is almost here, and we thought we could give you a hand to keep your house warm and save energy, just by controlling any home device with infrared commands. This is why we are featuring the HVAC Remote module for Arduino and Raspberry Pi. This small shield is capable of recording any infrared command sent by a remote control from any of your home appliances, like your TV or HVAC components (heating, ventilating and air conditioning). 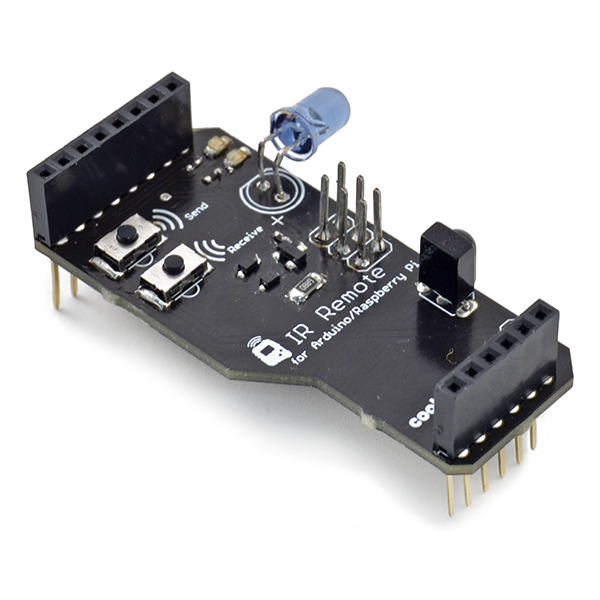 It is easily plugged on top of your Arduino board, or Raspberry Pi with our Connection Bridge. Then, with any of the available wireless interfaces (WiFi, GPRS, 3G, Bluetooth and ZigBee/802.15.4) you can simply control your HVAC system from a web server, a laptop or even from your smartphone. Save money buying this module in the HVAC & TV Infrared Control Kit. Watch the video below to see how it works and don't forget to take a look a the complete IR Remote Tutorial to control your infrared devices.